Your lawn can quickly be decimated by disease. When it strikes, disease can turn a lush, vibrant lawn into a mess of patchy and ragged growth. Zoysia and Bermuda, both common warm-season turf grasses, often need more care than simple water and sunlight. Protection from disease is an important part of proper lawn care. Even the best lawn care company won’t be able to keep your grass looking green and pristine if disease and fungi are not addressed and taken care of immediately. It’s also important to realize that even though you might be heading into fall, you should not be ignoring the care of your lawn. 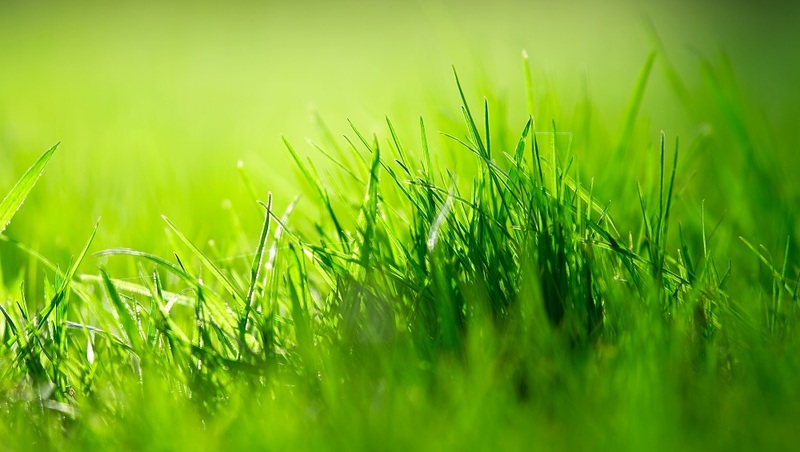 Fall is an important time to make sure your grass is in healthy condition so that it returns with gusto in the spring. The following tips can help you stave off potential harmful diseases. The first thing you want to do is be sure you know what signs of stress and disease are in Zoysia or Bermuda grass. Both types of grass are susceptible to pests like nematodes and fungal diseases like rust and large patch. Nematodes are microscopic pests that cause the grass to yellow and thin out, and stunt its growth. Disease is usually caused by harmful fungi that grows and feasts off the host plant. Rust is a disease that will cause rust-colored patches to appear in your lawn—not something that is likely to make your lawn look appealing. Another common disease, especially in lawns containing Zoysia and Bermuda grasses, is large patch. As implied by the name, this disease will cause large patches of grass to die and discolor in ring-like patterns, unlike turf that may be stressed because of too little water. Prevention of large patch is best started in the fall. Seeing any signs of discoloration, distinct dead spots, or mold-like growths on your grass is an indication that all is not well. As soon as you start to see these signs, you need to take measures to avoid the spread of disease. Once you notice disease, you need to immediately address the issue if you want to save your lawn and return it to the carpet of green that is the envy of the neighborhood. Diseases like large patch can cause long-lasting damage to the turf. If disease has taken hold, attempts at reseeding, watering more, and fertilizing will not cure the underlying problem. The best thing to do is to apply the proper fungicide, just as the doctor would prescribe you the proper medication for a serious illness. Applying the correct fungicide properly can be difficult. It’s a good idea to talk to professionals who offer lawn treatment services in Atlanta. Lawn care experts can offer professional grade fungicides and know what will work best for your problem. Some issues are also best prevented at different times of the year. As experts at lawn care, these professionals also know how to improve drainage, fertilize properly, and take other measures that can help you safely and effectively prevent disease. Consider professional lawn care as an investment. Reseeding or putting in new sod after a lawn has been wiped out by disease is extremely costly. Constantly trying to bring back a struggling lawn can also be time-consuming and expensive. Using quality lawn care services can help you conserve water, prevent disease, and maintain the gorgeous turf you want so that you can sit back and enjoy your yard.